Why is measuring arterial stiffness so important? Your arteries are responsible for moving the majority of your blood around your body via your cardiovascular system and, as such, it’s vital that your arteries remain as healthy as possible for as long as possible. But how do you know just how healthy your arteries are without undergoing expensive and/or invasive testing? Fortunately, now there’s an answer with the BioClip® Cuff. This diagnostic device enables you to quickly and easily assess arterial stiffness and by doing so, it provides you with an important measure of the state of health of your cardiovascular system. 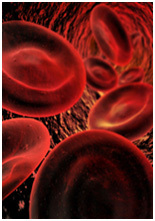 Advancing age, as well as various diseases such as diabetes, high blood pressure (hypertension) and renal failure, all play their part in increasing the stiffness of the arteries - especially the large arteries and in particular the aorta (the largest artery in the body which sends oxygenated blood throughout the body). The problem with arterial stiffness is that it is a major cause of cardiovascular disease. As the arteries stiffen and become less elastic, the amount of resistance the heart must overcome to eject blood into the arteries increases. Inevitably, this places an ever increasing load on the heart which is not good news. As arterial stiffness increases so central systolic blood pressure & pulse pressure increases, demand on the left ventricle of the heart rises, and there is decreased perfusion pressure through the coronary arteries. All of this increases the risk of heart attacks, heart failure and stroke. You may think that this is not relevant to you particularly if you are a non-smoker, who exercises regularly and watches their diet. But arterial stiffness is a silent killer. Many people do not have a clue that there is a problem with their arteries becoming stiff until they suffer a major cardio-vascular episode. Assessing the state of your arteries in good time, and taking the appropriate preventative measures as a result, could just save your life. As mentioned above, stiffening of the arteries leads to high blood pressure (hypertension). Indeed, arterial stiffness is the major cause of high blood pressure in older people, which in turn is a leading risk factor for stroke, coronary artery disease, heart attack, and heart failure. Unfortunately for many, one of the greatest difficulties in dealing with high blood pressure is that it is a symptomless disease. This means that, unless they are having their blood pressure checked regularly, the first time many people become aware that they have a problem with their blood pressure is when they have a serious cardiovascular event such as a heart attack or stroke. High blood pressure is closely associated with aging, particularly in industrialized countries such as the United States. It affects about three quarters of women and almost two thirds of men aged 75 or older, compared with only about one quarter of people aged 20 to 74. Even if you have a normal blood pressure at age 55, you still have a 90% risk of developing high blood pressure later on in life. Generally, systolic pressure (the upper figure in a blood pressure reading) increases until at least age 80, and diastolic pressure (the lower figure in a blood pressure reading) increases until age 55 to 60, then levels off or even decreases. Systolic hypertension refers to higher than normal levels of the systolic number in a blood pressure reading (a pressure of 140 millimetres of mercury or greater) and/or a lower than normal diastolic number (less than 90 millimetres of mercury). Systolic hypertension is the most common form of hypertension, and it indicates a stiffening of the body's arteries. This is because aging causes arteries to stiffen which means that they lose their ability to stretch and relax between heartbeats. This causes blood pressure to increase. The pressure (or force) of blood flow through the stiffening arteries becomes stronger as blood is pumped by the heart's ventricles (systole) to the rest of the body. The more the arteries stiffen, the more the pressure increases. We will look more at this later in the discussion. The problems of high blood pressure are compounded by the fact that blood flowing at increased pressure damages the arteries even further, causing lesions to develop especially at points of high wear and tear. These lesions can cause plaques to form which then begin to clog the arteries. This thickening of the walls of the coronary arteries is known as atherosclerosis and this, too, can eventually lead to heart attack and stroke. Arterial stiffness can also adversely affect the blood supply to the heart muscle itself (myocardial perfusion), and can be used as a measure of target organ damage in those with untreated high blood pressure (hypertension). Arterial stiffness is also significantly associated with the presence of coronary artery calcium. The good news is that arterial stiffness can be improved, through lifestyle, diet, exercise and supplements. Using a BioClip® Cuff helps you to keep track of those changes over time to monitor the improvements to make sure you are only spending time and money on those things that are working for you.